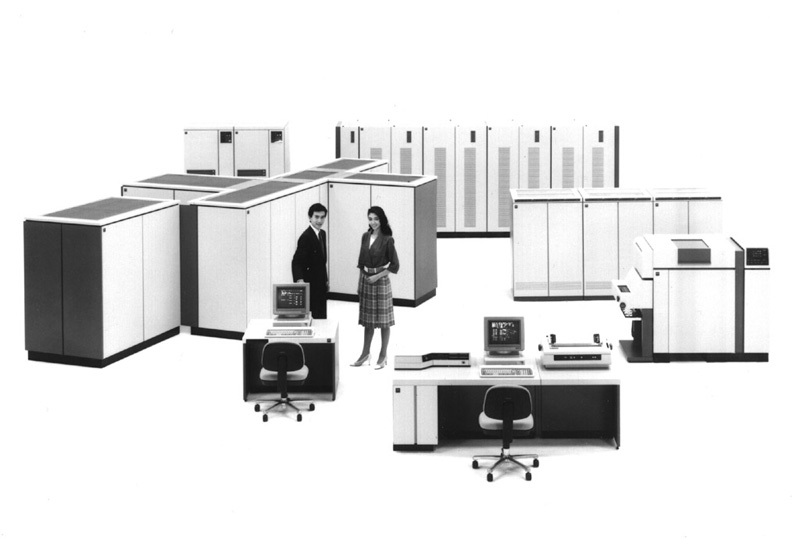 In February 1985, NEC announced the ACOS System 1500 Series -- the world's largest and fastest general-purpose computer at the time. This series employed high-speed LSI, including: 300-gate bipolar logic LSI (CML) with a delay time per gate of 250 picoseconds, 2,000-gate bipolar logic LSI (CML) with a delay time per gate of 350 picoseconds, and 1-kilobyte bipolar RAM with an access time of 3.5 nanoseconds. A quantum leap in arithmetic speed was achieved by using technologies, such as 2-level high-capacity high-speed cache memory, a sophisticated pipeline system, and high-precision branch prediction. This series was equipped with an integrated array processor, and thus had scientific and engineering calculation performance close to that of a supercomputer. Furthermore, by achieving database sharing through the Multi System Control Processor(MSCP) and the Multi System Database Sharing Facility(MDSF), and by using features like the Multi System Supervisory Facility (MSSF), it became possible to build a sophisticated large-scale system with up to a maximum of 4 tightly coupled multiprocessors, or 4 loosely coupled multiprocessor systems. Use of the Multi System RAS Facility(MSRF) made it possible to build hot standby systems, and thereby greatly improve reliability and availability.